If you have been watching television, I am sure you have seen the horrible fires in California. California has been in a drought since 2012. The drought has been so bad that many wells are dried up. Reservoirs are dangerously low or empty. Some local communities are limiting the water usage per family per day. If home water usage exceeds the city limits home owners have to pay a fine. Over this weekend a large fire started in Lake County. After four days over 70,000 acres are burned, 30 percent of the fire is contained, 13,000 people are displaced. Over 600 hundred houses destroyed and at least one confirmed person dead. The fires spread at 20-25 miles per hour. People did not have time to take any personal items and had to leave immediately. Unfortunately many animals were lost because home owners could not locate or get them loaded into trailers quickly. Horses not loaded on trailers had the owners phone number spray painted on them. Chris and I have many friends and family that live in northern California. We both consider the Napa area our second home. We recently traveled to UC Davis so I could take a Wine Microbiology class. After the class was done we headed to Napa for a long weekend. I was able to help a friend harvest his Viognier. Most years he would get about 2 tons of fruit from this small lot. This year he harvested ~1.5 tons. Most vineyards are reporting lower yields this year. Grapes are a very resilient plant but they too eventually need water to survive and produce fruit. I have grapes coming from Lake County. We met the Merlot grape grower in July. Like Napa, the people in Lake County are great. They welcome people with open arms. When Chris and I heard about the fire our hearts stopped. Not because of the potential loss of fruit but for the lives of the people we met and the community. I was able to talk to the grape broker Shannon last night. Residents of Kelseyville are allowed to return home. Its pretty bad. There is a glimmer of hope for rain this winter. The possibility of an El Niño this winter is watched carefully. The rain would be a welcome sign. Hopefully the downpours are not frequent. With no ground cover the threat of floods is real. 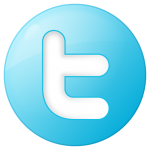 We need to support the people of Lake County. You can text your donation. Just text the word “Red Cross” to 90999. 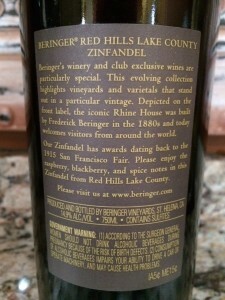 If you want to support the local growers and wineries look for wines that have Lake County appellation on the bottle. Aromatic, young-fruity with aromas of spice, dark fruit and jammy. 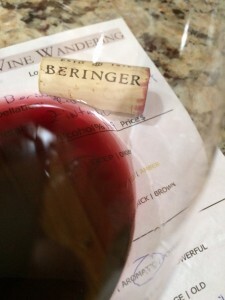 Dry, medium-bodied with good acidity. The tannins were medium but soft. Rich mid-palate flavors with a savory long finish. Region/appellation: Lake County California, Red Hills. 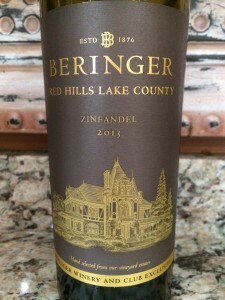 I rated the 2012 Beringer Red Hills Lake County Zinfandel four glasses.